Corb7 International July 25, 2018 Newsletter | Corb7 International, Inc.
Executive Fitness: How Men Can Benefit From Yoga! In 1988, the Rolling Stones explained why they left England to Washington Post writer, Richard Harrington, for his article entitled “Stone Free.” “In 1971, we were forced to decide courtesy of the British government – live in England and (because of high taxes) not be able to afford another set of guitar strings or move and keep the band together. Hence, the album “Exile on Main Street”. The subject of tax reform, reporting and compliance is a business news item appearing daily in worldwide financial journals. A recent trail balloon – the idea of punitive tax reform – has been slipped into this age-old debate. 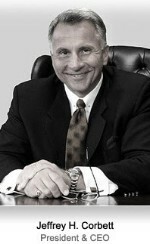 Somehow the idea of punishing the successful business person with unreasonable high tax has gained traction. We readily acknowledge the obligation to report and pay a fair amount of tax, but nevertheless, we think this approach is not only morally reprehensible but economically senseless. 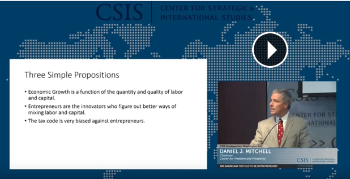 Below we offer a video published by Dan Mitchell of the Cato Institute. 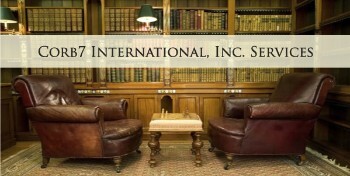 Mr. Mitchel has impressed us for years with his no-nonsense approach to tax and international business. Even if you reside outside of the United States, we think you will find his thoughts insightful. We hope you enjoy. Entrepreneurship is nothing without first inspiration. We have had the rare opportunity to meet and talk with some very inspirational personalities over the years. In our “Inspire” section of our website, we share some of our favorite interviews, articles, books, quotes and thoughts on being and staying motivated. We hope you find this area of our site to be enjoyable. Mario Andretti, Steve Garvey, Lou Ferrigno and many more share their perspectives on success and personal discipline. Sleep is critical to our ability to perform. According to the National Sleep Foundation, certain foods may help people fall asleep faster and sleep more soundly while others may compromise a person’s ability to enjoy a restful night’s sleep. In lieu of white bread, refined pastas and sugar-laden baked goods, all of which can reduce serotonin levels, the NSF recommends whole grains. 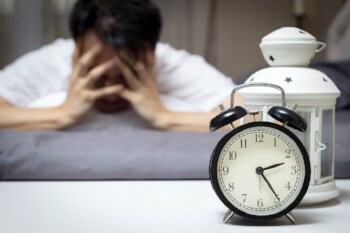 The buildup of serotonin in the brain during periods of wakefulness can contribute to the onset of sleep later in the day. If serotonin levels in their brains are disturbed, then people may experience difficulty falling asleep. The NSF also recommends almonds and walnuts, which contain melatonin, a hormone that helps to regulate the sleep/wake cycles. In addition, foods that are high in lean protein that contain the amino acid tryptophan also may increase the production of serotonin, potentially contributing to a restful night’s sleep. How Men Can Benefit from Yoga! The popularity of yoga has grown considerably in the 21st century. But while women have embraced yoga en masse, men have been more hesitant to do so. A 2015 survey from Yoga Journal found that, among the 20 million yoga practitioners in the United States, only 18 percent were men. While those figures might have risen in recent years, anyone who has recently visited a yoga studio can attest that the participants in many classes remain overwhelmingly female. That’s unfortunate for men, who could be benefiting from practicing yoga in myriad ways. · Yoga can protect against muscle imbalances. Yoga requires various muscle groups to work together to perform certain exercises. This can reduce the risk of muscle imbalances that can develop when men design workout routines that target specific muscle groups. · Yoga can improve flexibility. When performed correctly, various yoga exercises improve flexibility. For example, the big toe pose can help men and women lengthen and strengthen their hamstrings, while the downward facing dog pose stretches various areas of the body, including the shoulders, calves and arches. Yoga is not the only way for men to improve their flexibility, but it can be an effective supplement to exercise routines for men who routinely feel tight after traditional strength training sessions. · Yoga can improve stamina. Numerous studies have indicated the positive effects yoga can have on muscle endurance. In 2005, researchers at the University of Wisconsin, La Crosse, found that the regular practice of Hatha yoga provided a significant boost to chest and abdominal strength and endurance. Such improved stamina can have a trickle-down effect on men who practice yoga and also adhere to strength training regimens and/or participate in competitive sports. · Yoga can help men maintain healthy weights. The Harvard Medical School notes that researchers discovered that people who practiced yoga for at least 30 minutes once a week for at least four years gained less weight during middle adulthood than those who did not. That might be linked to additional research that found people who practiced yoga were more mindful eaters than those who did not, making them less likely to overeat, eat when sad or stressed or eat in response to certain cues, including the smell of food. Fewer men than women may practice yoga, but that does not mean men cannot benefit just as much from embracing this ancient practice. Italians have crafted many delicious foods, helping to popularize pizza and various pasta and seafood dishes. Italians also are no strangers to dessert, as anyone who enjoys cannoli can attest. In the frozen treat arena, Italians present gelato, something similar to ice cream that is creamy and smooth and somehow has less fat than traditional American ice cream. Gelato has less cream content and more milk than American ice cream. It also does not use egg yolks, which are traditionally used in ice cream. Italian gelato contains between 4 and 9 percent butterfat, while the average ice cream contains between 15 and 25 percent. 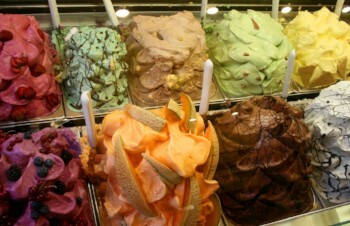 In addition, gelato contains less air, which accounts for its dense, fluid and creamy consistency. The Food Network says that gelato is creamier, silkier and smoother than ice cream. It also is denser and more elastic. Because gelato is served warmer than American ice cream, it also will not numb the mouth as much, which can make it a more flavorful dessert. For those who visit a shop to grab some gelato, they’ll likely notice it is served with a spade and not a scooper. Spades soften the gelato for serving. Gelato comes in many different flavors, but a popular one is spumoni, which is a molded gelato made traditionally with cherry, pistachio and vanilla gelato and candied fruits and nuts. Thanks to the intense flavor, extra creaminess and a silky, dense texture of gelato, more and more people are looking to it when craving a refreshing dessert. Last year, my wife and I had the opportunity to travel to New York and the 9/11 Memorial. It was more moving that I could have imagined. If you have not been, it is a well worth your time, but it will change you. As you stroll respectively with the crowd notice the quiet. The crowds will be large but spoken words are hushed and few. Reverently, we offer the above video for our readers to review who might not have the opportunity to visit New York and the Memorial. It is very easy to become preoccupied with our lives and the politics that dominate the evening news, but we would suggest that it is just as important to remember. Thousands of people were directly affected by the terrorist attacks of September 11, 2001. Millions more were glued to their televisions as they watched the news coverage of the attacks in New York, Washington, D.C., and rural Pennsylvania. The former World Trade Center site was decimated by the attacks. The Twin Towers of the World Trade Center were part of the New York skyline for more than 40 years. The World Trade Center spanned 16 acres and opened to the public on April 4, 1973. Including the two towers that fell, World Trade Center Building 7 and many other surrounding businesses were ultimately demolished. While 2,977 people perished in the 2001 attack, many find it miraculous that so many others were able to evacuate and escape death. After the iconic towers fell, thoughts turned to the best ways to commemorate the memories of the people lost on 9/11, as well as the heroism that took place on that fateful September day. Out of the rubble came The National September 11 Memorial and Museum. Millions of people have visited the memorial, which opened to the public on September 12, 2011, and the museum, which opened on May 21, 2014. Many tourists make it a point to visit the National September 11 Memorial and Museum when traveling to New York City. The memorial portion was the first to open and includes twin reflecting pools that are each nearly an acre in size and feature the largest manmade waterfalls in North America. The pools sit within the footprints of where the Twin Towers once stood. The names of every person who died in the 2011 and 1993 attacks are inscribed into bronze panels along the edge the pools. In the memorial plaza, visitors will find trees harvested from locations within a 500-mile radius of the WTC site, and additional trees coming from locations in Pennsylvania and Maryland. Visitors will also see the “Survivor Tree,” which was recovered from the rubble at the World Trade Center site in October 2001. According to The National September 11 Memorial and Museum Foundation, the museum serves as the country’s principal institution concerned with exploring the implications of the events of 9/11, documenting the impact of those events and exploring the continuing significance of September 11. The underground museum has many different artifacts from 9/11, including steel from the Twin Towers, fire trucks and debris. It houses 110,000 square feet of exhibition space and has multimedia displays, monumental collections, archives, and stories about the men, women and children who died during the attacks. 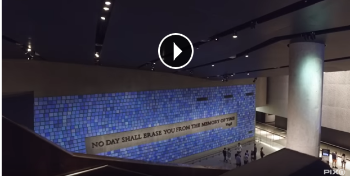 The National September 11 Memorial and Museum archives the story of destruction that occurred, but also represents the hope and camaraderie that the attacks spawned.